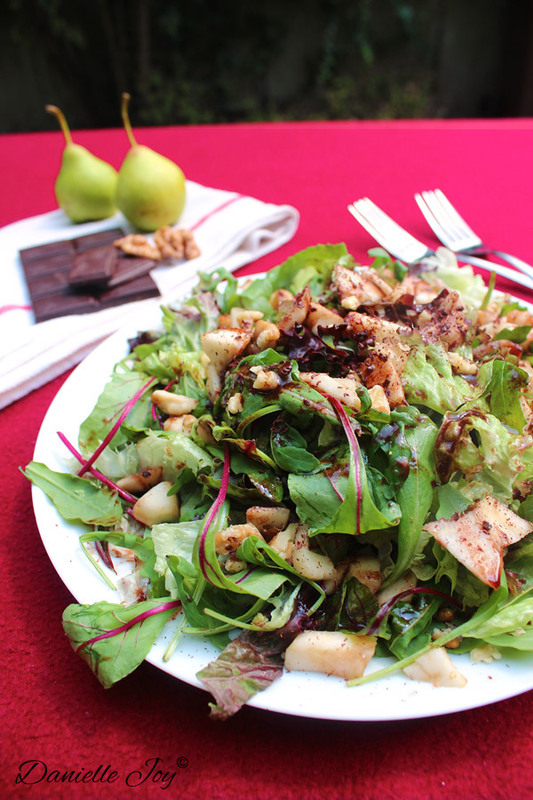 Arugula-Pear Salad with Chocolate Vinaigrette - Your process has a purpose. You can be as creative as you’d like with your choice of greens in this salad. I used a mix of approximately 30% arugula, 30% Swiss chard, and 30% lollo rosso, but you can play around with the ratio or throw in your favorite salad greens. Just make sure that you don’t let the arugula dominate the recipe. It’s got quite a pungent flavor, so be sure to balance it out with greens that aren’t bitter or peppy. You don’t like the crunchy texture of nuts, but you know it’s healthy and you should incorporate it in your diet — haven’t we all been there? Actually, I haven’t because I’m crazy about nuts. But someone who isn’t so fond of nuts recently gave me a great tip for all y’all with the same dilemma. “Just grind up the nuts in a food processor and sprinkle it over your salad,” she said. “You won’t be left with the crunchy texture, but you still get all the health benefits.” Genius! 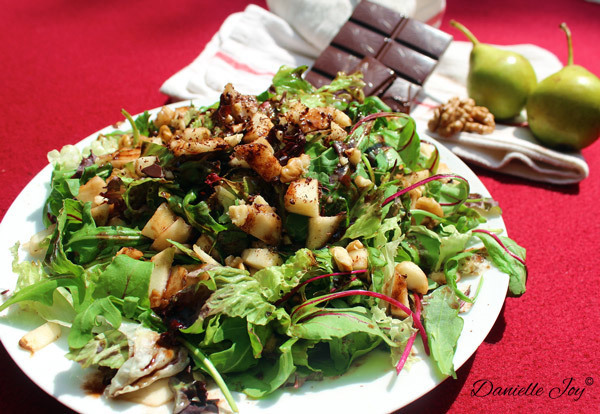 A note on pears & raw cacao powder: I prefer using Conference pears for this recipe because the juiciness of the Conference pear really compliments this salad. I prefer using raw cacao powder because once something is heated above 105º F the enzymes die :(. However, if you don’t have raw cacao powder on hand normal cocoa powder will do. While the coconut oil is melting, wash the salad blend, if necessary (I used a pre-washed salad blend). In a small bowl, mix together the melted coconut oil, ACV, maple syrup, and raw cacao powder. Gently massage ¾ of the vinaigrette into the salad. Assemble the salad onto a pretty plate. Chop up the pears and add them to the salad. Garnish with the remainder of the vinaigrette, chopped walnuts, and dark chocolate square. You had me at chocolate salad! Wow! 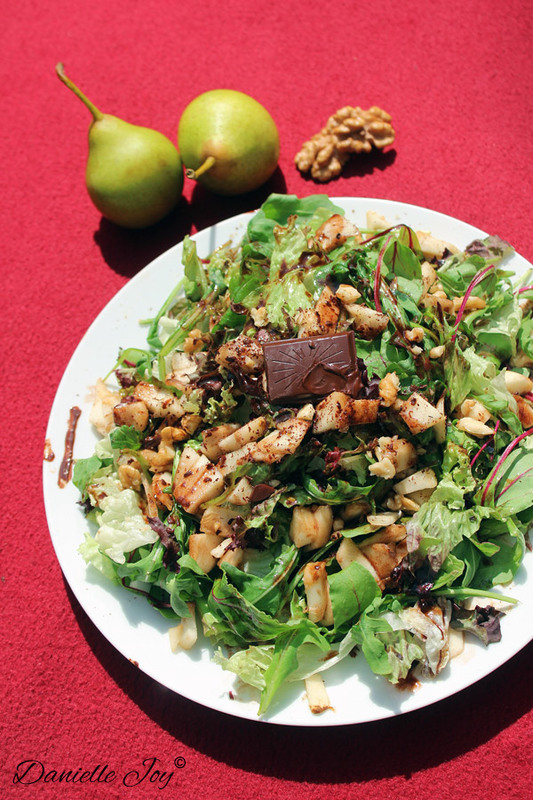 omg – chocolate vinaigrette! it sounds like heaven. i will make this shortly! 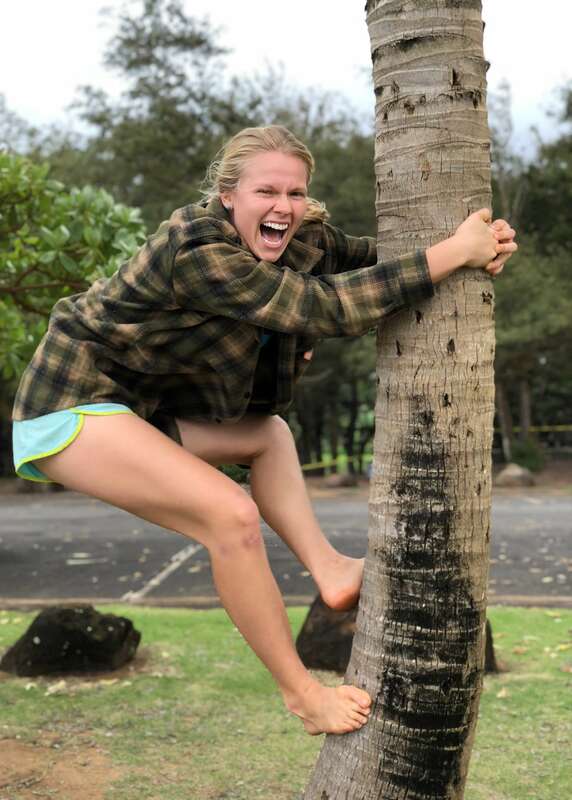 How did you like it, Kendy? This Thursday I will be posting another recipe containing chocolate vinaigrette. This time it won’t be a salad, but a wrap! Stay tuned because I think you’re going to like it.